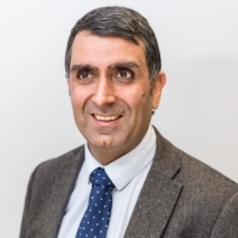 Dr Paresh Kathrani is based at Westminster Law School in the Faculty of Social Sciences and Humanities, University of Westminster, London, United Kingdom. He researches artificial intelligence, robotics and the law and has convened expert panel discussions between roboticists, ethicists and lawyers. He has been invited to talk to lawyers at professional events and has written on the changes that are likely to occur in the legal profession as a result of automation. He also looks at the ethics and legal regulation of artificial intelligence and robotic systems in other contexts. Amongst his many projects, he has been working with the Faculty of Science and Technology at the University of Westminster on virtual and augmented reality and the law, some of which has been publicised in the national and international media. Prior to academia, he worked in a law firm environment for six years.